If you’ve ever suffered with a stiff neck, chances are your Levator Scapulae muscle had something to do with it. Trigger points (tender contraction knots in muscle fibers) in the fibers of thi smuscle commonly restrict normal turning of the head, and cause pain in the areas illustrated below. Sitting in one direction with the head & neck turned in another for extended periods of time. Stress strongly impacts this muscle as well. We instinctively respond to perceived threats by dropping our heads and raising our shoulders in a ducking motion. In today’s world, traffic jams, financial worries, interpersonal conflicts, chronic pain and more, can trip off the the body’s freeze-fight-or-flight response. 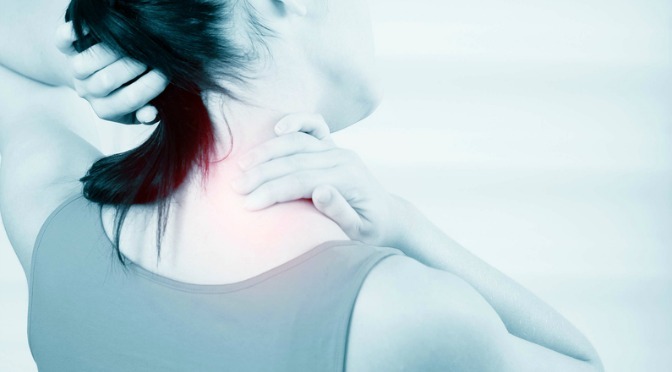 Since this muscle contracts every time it moves the shoulder blade towards the ear, you can appreciate how it could become fatigued and overworked when constant stress is in the mix. 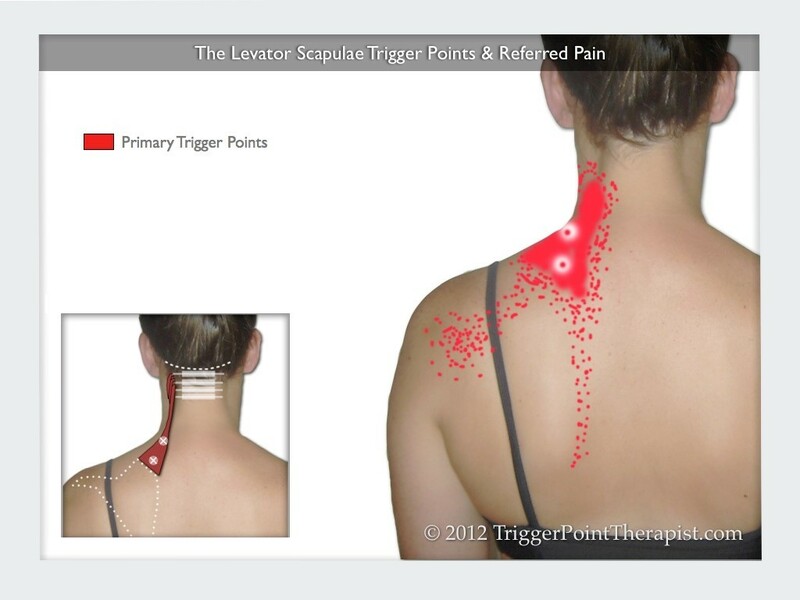 Therapeutic release of the trigger points in the Levator Scapulae, as well as other inter-related muscles, helps to quickly relieve the problem. Untreated muscles can seem to recover with the passage of time, but often leave residual stiffness and reduced mobility behind. Over time, this can translate into chronically-restricted neck motion. You might believe that “you just have to live with it” but most of the time this is simply not the case. Repeat, with varying degrees of head rotation to release the muscle fibers of all directions. If you are struggling with this or any other muscular pain and restrictions, and you’re ready to make a change, we will happily help you construct a health improvement plan tailored to your particular issue. Contact me to schedule an appointment today!